We are engaged in the collection and analysis of images and driving data for automobile driving and Advanced Driver Assistance Systems (ADAS), and collection of the data required by our customers in development of such systems. Through the use of our offshore sites, we are able to provide learning (correct value) data at low cost, to maximize the resources of our customers, helping to improve the recognition rate and detection rate of their systems. 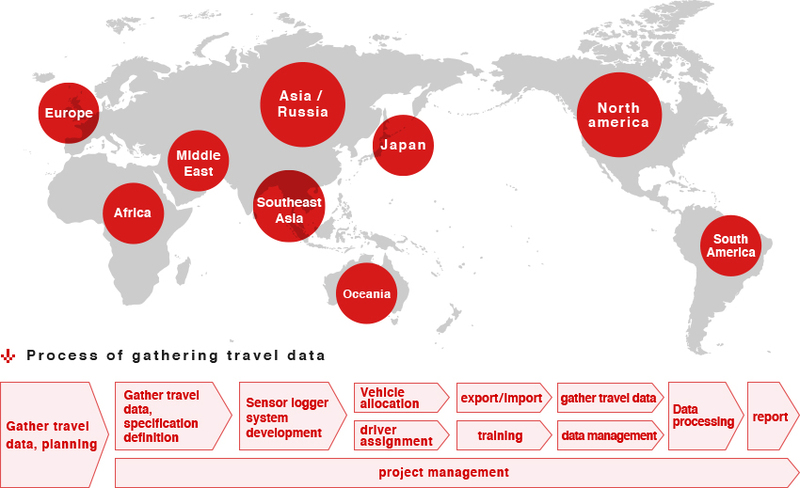 Specifically, we use our overseas network to offer integrated solutions, including collecting travel data, allocating vehicle, installing machines, and gathering data. In addition to that, we also provide data storage and management solutions tailored to our customers’ usages. 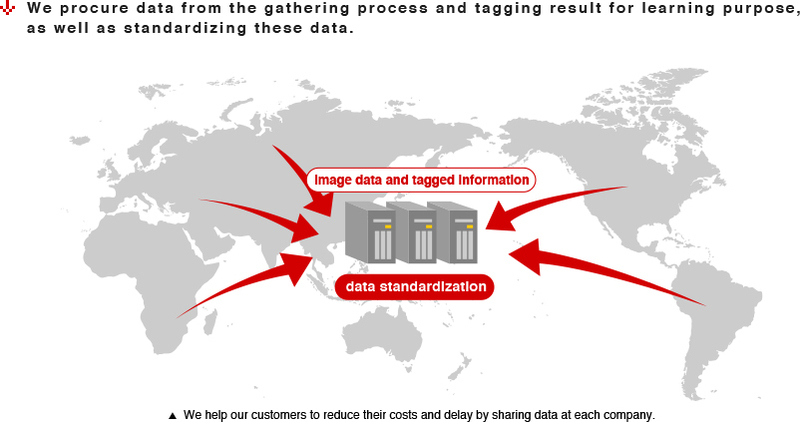 Our track records include tagging (segmentation, etc.) and recognition of various objects such as vehicle, pedestrian, white line, and signboard. By using these data, we are able to reduce cost and optimize resource allocation. With popularization of automobile driving and ADAS system, we expect increase of demands in automotive data gathering and analysis, as well as demands for more affordable service. We help our customers to prepare themselves for these conditions by sharing data from various companies, reducing cost, and shortening delivery date.